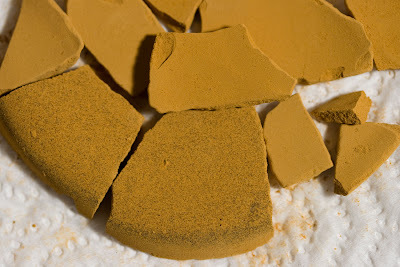 Over the weekend, the ochre finally dried again, and I had a chance to scratch away the last of the rough particles. Drying. 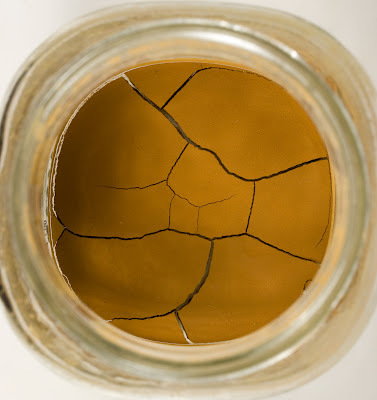 Still moist, but cracks have formed. Ever notice how mud cracks are always 3 lines at an intersection? Never 4 or 5? There's a reason for it (path of least resistance, conservation of energy, something like that) , but I don't know the details. Have them? Tell me! Here, a couple of the pieces are flipped to show the sandy bottom. 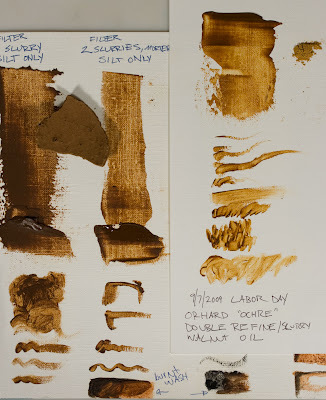 This part was scratched off with a putty knife, leaving only the finer pigment particles. An example of the raw dirt & the dirt after it's been refined via a slurry twice. 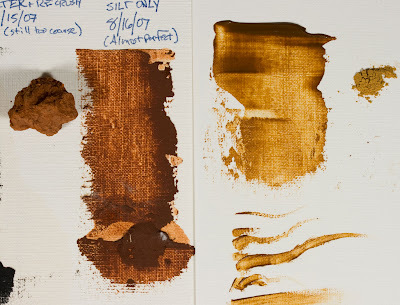 Here is a disappointing image: When mixed with walnut oil, it is very close to the normal umber that I got from my parent's regular soil (the kind that doesn't require heavy digging to get to it). 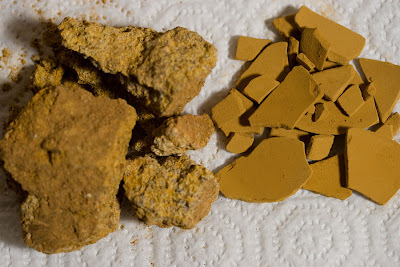 It's a tiny bit lighter and more yellow, but not nearly as much so as when it is in powder form.